“Where did the day go?” We all have said this often enough when we realized that not all that we had planned to accomplish in the day has been done. Learn to manage your time productively. A little time management goes a long way. Not only will it help you achieve work goals and meet deadlines on time, you will also be able to deal with life's curve balls more effectively and reduce your stress. Understand. Make sure you understand what your task involves and what the expected outcomes are. Team-work. If your task involves team work, discuss the assignment with all the team members and make sure everyone has a clear understanding of what need to be done. Define the major elements of your workload. Make a list of all the tasks that need to be completed. Don't pay much attention to prioritizing at this stage. Develop a general work schedule. While estimating a time schedule, remember to include some 'down time' for yourself (and team members), as well as management and maintenance time- time for meetings or quality assessment, or time to go back and rework something that you are not happy with. Set priorities. Number the tasks in order of importance. Decide how much time each task will require and by when it needs to be completed. This will help you identify what needs to be done immediately and what can wait. 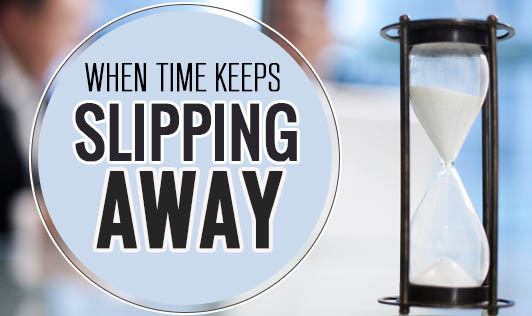 Make sure your tasks can be completed in a timely manner. Don't set impossible goals, such as trying to come up with 30 projects or campaigns in one day. Where and when possible, delegate. No one can do everything alone. If someone can take care of something for you, ask them (even if it is not work-related, such as asking your spouse to cook dinner so that you can get an extra hour in at the office. Don't draw out the planning process! Some people waste time by planning too much. Take care not to avoid starting work by planning indefinitely. We can all learn to manage our time effectively, and reduce our stress. It may take a little practice, but before you know it, you will not only meet deadlines but quite often you will beat them.